Established in 1956, the J.S.S. Medical College and Hospital in Mysore has maintained its leadership in health education, training, research, and practice. It’s one of those few colleges that is singularly focused on preparing Medical graduates to practice in a multi-disciplinary environment and has collaborative research opportunities. Constituent college of J.S.S. Deemed University, Mysore Recognition: Medical Council of India (MCI). It is ranked among top private Medical colleges in Karnataka. The college is ranked 37 in NIRF 2018 ranking. The college has 200 MBBS Seats, and we can help you with direct admission to MBBS course seat. Post-graduate M.D./ M.S. specializations courses in Anatomy and Orthopedics, General Surgery, Anesthesiology, Ophthalmology, Pathology, Community Medicine, Dermatology, Obstetrics & Gynecology, Forensic Medicine and Pulmonary Medicine, Pediatrics, Physiology, Biochemistry, General Medicine, ENT, Psychiatry, Emergency Medicine, Pharmacology, Microbiology and Radio Diagnosis. The faculty at the college is ambitiously pushing the boundaries of progressive thinking and challenging what’s possible now. The faculty here, like in most colleges, is central to creating world-class doctors. The faculty is actively involved in establishing leading research programs in all areas of Medical expertise. The college has a massive library, hostels for men and women, ATM and bank branch, food court, play areas and much, much more. The hospital is one of the biggest hospitals with over 1800 beds.The hospital provides service in 37 specialties/super specialties. We help you prepare for individual counseling for admission to K.V.G Medical College and Hospital and help you gain an edge over others. If candidates don’t have the marks and rank, we help them get Direct Admission to MBBS courses. Valid NEET score is a must. WHY CHOOSE J.S.S. MEDICAL COLLEGE IN MYSORE, INDIA? You’ll learn in world-class facilities, and work in disciplines across the range of health professions. You’ll learn in the classroom, and in laboratories, and get to apply it all in your work life. The college also has a strong practical focus, with hospital placement being an integral part of each year of study. Their close relationship and strong internal partnership with J.S.S. Hospital gives all students a unique opportunity for training while learning and researching while training. All students are encouraged to foster a fresh approach towards learning. JSS Medical College Mysuru is approved by DSIR as research facility. As the college has a reputation for churning out skilled doctors, you’ll be a highly sought after doctor or researcher in India and outside. After you’re done with your MBBS course from this college, you can plan your future to do a PG in MD/MS course or join the work force in the college hospital itself or at a place of your choice. Their courses are also recognized by General Medical Council (U.K.), Sri Lanka Medical Council and WHO. 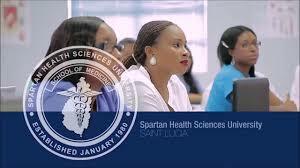 If you plan to study further, you could try their MBBS course. 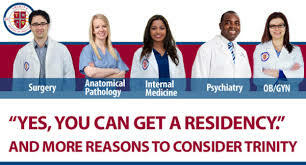 You also have the option of doing a three-year PG Medical course in MD/MS after obtaining MBBS degree from J.S.S. Medical College. Registration for MBBS Admission in JSS Medical Colleges.